It's early 2017, and that means one thing - we've been counting up all the votes for Mod of the Year 2016 and we can now share with you the three winners of the competition. If you missed all the action, you can check out over 20 amazing PC modding projects here as we look back at the best projects of 2016 as nominated by our community. First, we thank everyone who contributed to our modding community in 2016, whether they were entered into Mod of the Year or not. You help make bit-tech one of the best places for modding on the Internet. Secondly, we'd like to pay tribute to some of our runners up this year. Everyone that was nominated should be proud, but coming close to grabbing a top spot were Hex Gear R80 Prototype No. 2 by p0Pe, Red Impact by twister7800gtx, Master X5 by neSSa, Three Leaves by eucalyptus, The New Way by dangthaison, Water-Frame by XuSi and SkyVue by slipperyskip. It was extremely close at the top and you guys came within a fraction of clinching the title, so well done on your stunning projects. Next, we have to announce our reader prizes. Corsair graciously provided three triple packs of its SP120 RGB fans, which are to be given away at random to those that nominated their favourite projects last year, and also to those that voted. We're pleased to announce that the winners are Alain Simpels, and two voting entries whose first part of their email addresses are Jenken and Andrei. We've emailed you all so please check your inboxes. Finally, it's the big three - the Best Case Mod, the Best Scratch Build and also the Mod of the Year. The best overall project/Mod of the Year was selected from the top five reader-voted projects, which were then put before a panel of judges including bit-tech staff and prominent members of the modding community, whose votes decided the top spot overall by totalling up the scores. The Best Case Mod and the Best Scratch Build were the projects with the highest number of reader votes in each category. 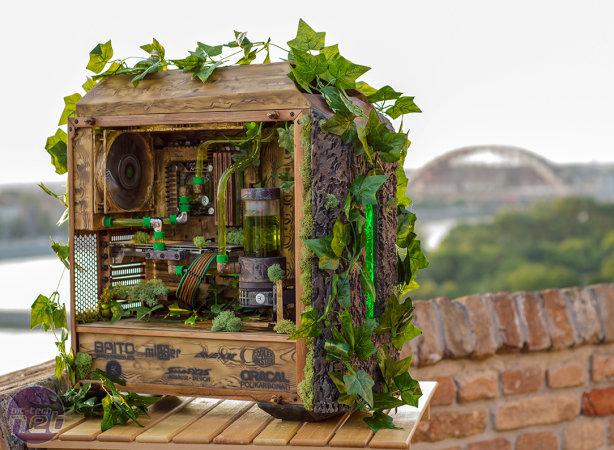 As this year's Mod of the Year was a scratch build, we selected the next highest voted project as the runner-up winner of that category. Starting in 2015 with little more than 35kg of raw aluminium, every single piece of Tatami - including most of the water-cooling system - has been meticulously machined across two years and 11 pages of updates. The result is an exquisite masterpiece of modding with insane attention to detail inside and out that's not only worth a read from start to finish, but utterly deserving of this year's Mod of the Year crown. Well done Mr3D! 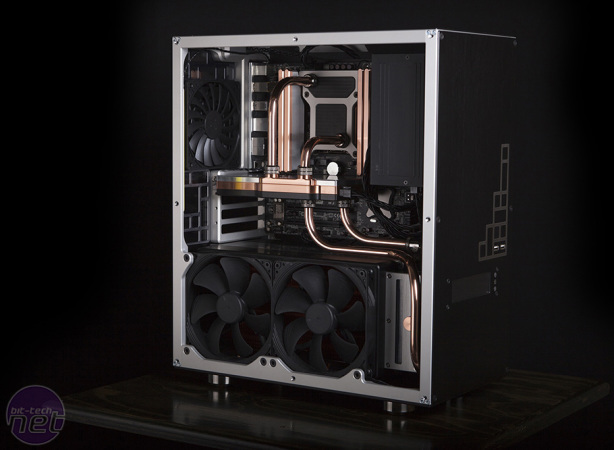 Another project over a year in the making was Aetos by Maki role, who also picked up the top spot in our Thermaltake modding competition last year too. 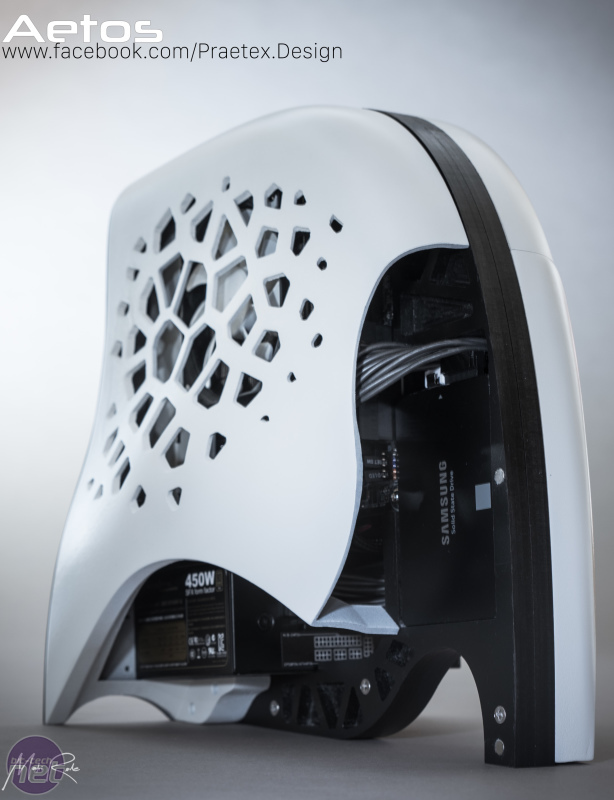 Built as a showcase for AMD's R9 Nano GPU and featuring a mini-ITX air-cooled system with an SFX power supply, the case is part 3D printed and part cut from plastic. The unique design is undoubtedly what launched the project's appeal in the voting, and it's one of the stand-out projects of 2016; we can't wait to see what Alex gets up to this year. Perhaps with the most eye-popping project of 2016, MegaSkot is now well known for producing utterly fantastic projects, now with several Mod of the Year entries to his name. This time, he's reached the top, picking up the Best Case Mod prize of 2016, having gotten within the top three scratch builds last year. It's not many people that can claim to have scored so highly in both categories, and in back-to-back years, too. Keep it up MegaSkot!